My buddy Steve brought it to my attention that I just haven’t been updating the blog as frequently as I used to. 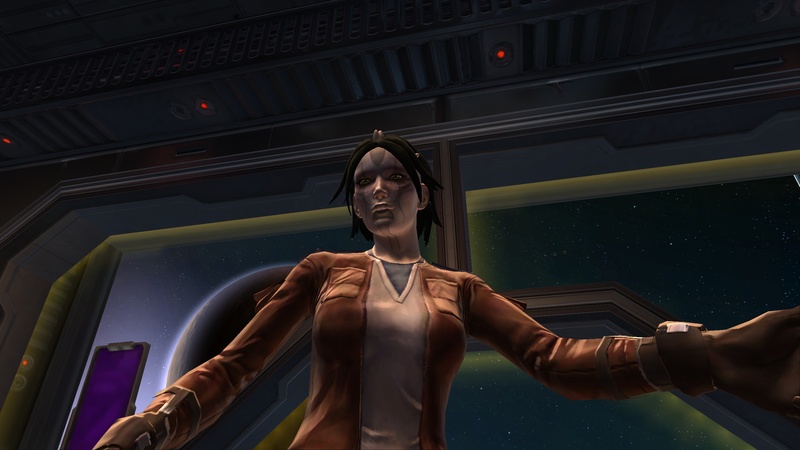 And lest that perception be expressing itself to folks as a lack of interest in the game, I thought it would be a good time to catch folks up on what’s been keeping me busy SWTOR-wise, both in and out of game. unguilded Imperial side and level 47 marauder needs a new home, PST! If you are in need of a guild on any of the above servers, follow the links and check ’em out. You’ll see that I haven’t dealt with my fourth and final server yet. Not sure if my level 17 sorcerer is going to be moved along or not at this point. It’s a little overwhelming already dealing with the above three active servers to be frank. Then there’s a fun little SWTOR podcast you may have heard about — TOR Reporter. We record every Thursday night at 7:30 Pacific, with a live audience in our chat room. Prepping for the podcast is probably a prime contributor to my not blogging as often. Plus, I don’t want to steal the thunder from the podcast by preemptively publishing thoughts I’m planning to share there. So what’s been keeping you busy in and out of game as of late? I have been playing on Ebon Hawk since release. It is a pretty good server. If you ever need a hand with that marauder hit up Shivvin or Zill in game.